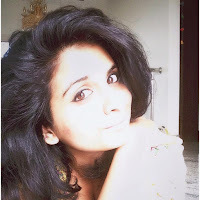 Lenskart Eye Popper Sale - 11th to 14th of April! 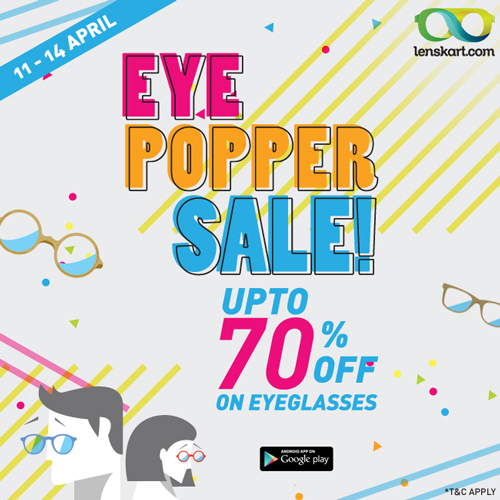 So like always, Lenskart.com is here with the Eye Popper Sale from the 11th of April to the 14th of April! Without much bak bak of mine, here are the pointers you should totally know, okay? First off, on purchase of Rs.1500/- and above, there is a flat 50% off on the latest eye glasses! On complete eye glasses with prescription lenses, there is a flat 70% off. How would you like to get your first frame free? Just so you know, the lens package starts at Rs.799/-. Reading glasses are at Rs.149 only, I think this is the time to stock up on some, don't you think?